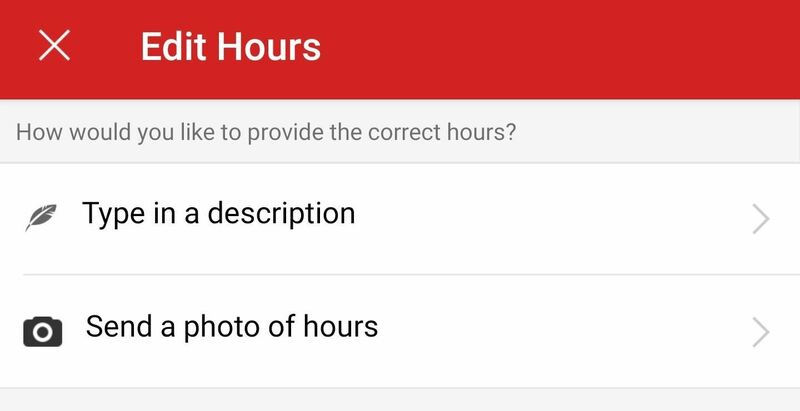 If you notice that information about a bar, restaurant, doctor's clinic, home cleaner, grocery store, or other business is outdated or incorrect, take advantage of Yelp's editing feature to help fix any mistakes for you and everyone else who would otherwise be following wrong information. There's a Yelp app just for business owners, but only a small percentage of businesses likely use it, so it's up to us. 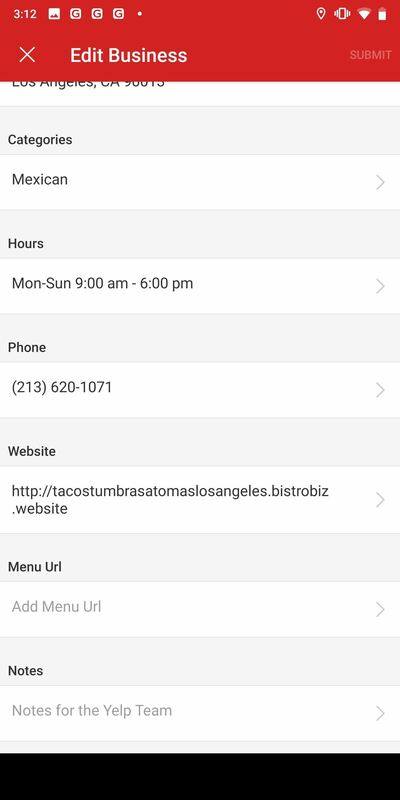 You can edit the name, category, address, map location, hours, phone, website, and menu. In return for your good deeds, Yelping will be a better experience for all. 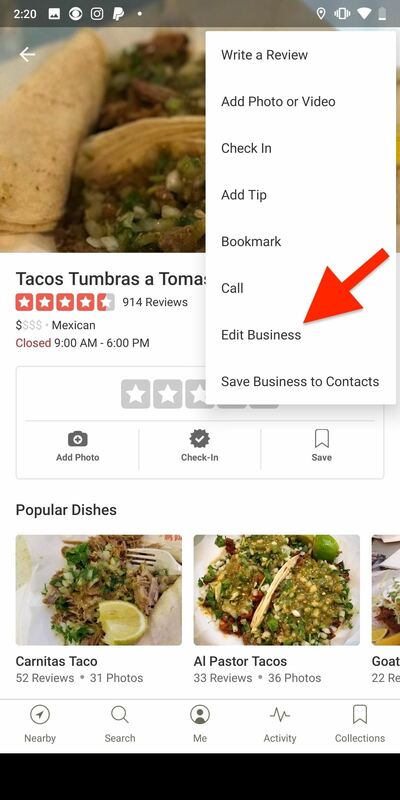 On the Yelp business listing in which you want to update or correct information, in the top right, tap on the vertical or horizontal ellipsis (•••), aka the "More Options" menu, then select "Edit Business." Alternatively, you can scroll down on the business listing, tap on "More Info," and hit "Edit" or the pencil icon in the top right. 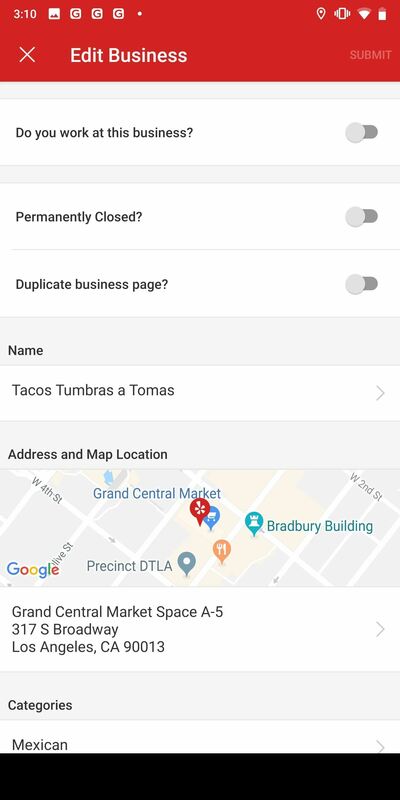 You can edit the name, category, address, map location, hours, phone number, website, and menu URL, as well as mention if the business is permanently closed or if the listing is a duplicate. Skip down below the screenshots for more details on filling out each section. Toggle this setting on if the location has been permanently closed. If the business is open, leave this setting alone. Do not toggle it on if the business is temporarily closed, for example, because there's construction, fumigation, or another temporary reason. Temporary closures should only be mentioned in the "Notes" section at the bottom of the Edit Business page. If you've seen multiple listing of the same business, toggle on the "Duplicate business page?" setting. You may not know which page is the official one, but fewer reviews and incomplete or wrong information may be an indication that the listing should be reported. Just keep in mind this is for the same business location, not the company's other locations, even if they have the same name, such as McDonald's. Enter the full name of the business. Avoid including store numbers since they aren't part of the official name of the business and won't be how customers refer to the place. Also, leave out any keywords, tag lines, neighborhoods, and other information that's available elsewhere in the listing. For example, the address will help determine the neighborhood, and the category is basically the same as keywords. If you tap on the map, you can select where the location actually is, if incorrect. 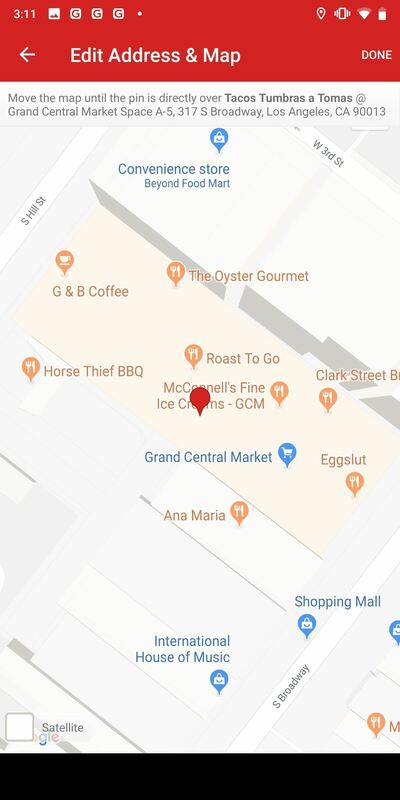 Yelp uses the default map app to pinpoint a building for an address, and you'd be surprised how many times it could be wrong. Move the map until the pin marker is exactly where the business's building is. Moving the pin in the map will not automatically change an address since you're just fixing the map location for the address already provided. If the address is wrong, edit that first before messing with the map since you'll have to double check it afterward anyway. Tap on the address underneath the map to do so. 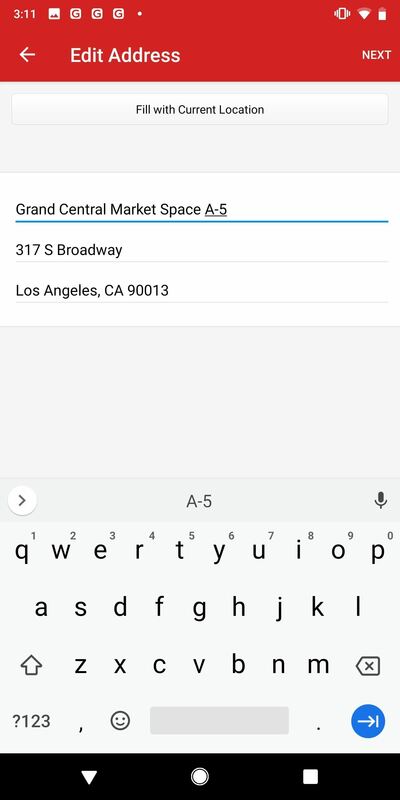 You can either enter the address manually or have it auto-populated by tapping on "Fill with Current Location," which will use your phone's GPS to pinpoint where you are. Be considerate to some business locations. If there is not an exact address for a business, it may be because it's a residential address for a side job such as a handyman, pet sitter, or photographer. 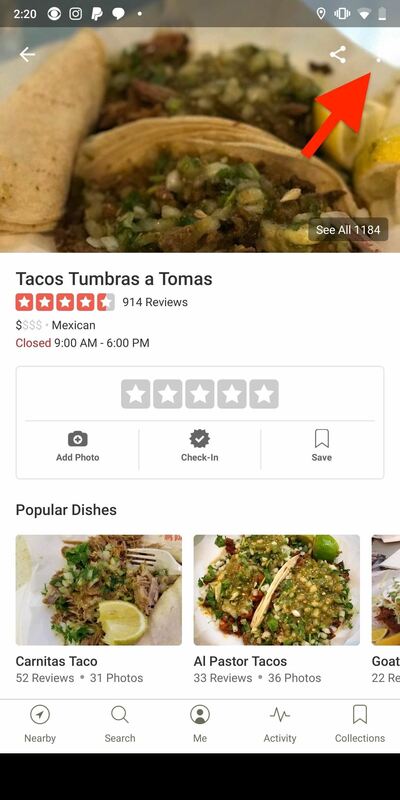 Yelp only requires a ZIP code or service area for these locations, and these small businesses may not want everyone to know their home address. If you know the ZIP, just use that. 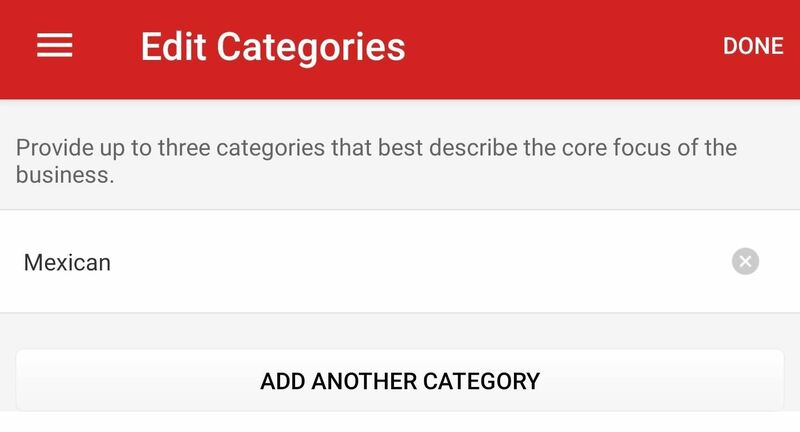 Select the correct category or categories for the business under the Category section. You can choose up to three categories that best fit the description of the "core focus of this business," according to Yelp. New categories are added every quarter, and Yelp has a complete list for reference. If something works better than what's already in there, tap on the old category to replace it, and "Add Another Category" for a second or third one, if not already there. You can either enter a description of the new hours ("now closes at 5 p.m. on Sunday") or include a picture of the updated hours (from the storefront or menu). These should be normal operating hours, not temporary hours when they are off schedule for a few days. Adding a photo definitely lends credibility to your edit and can help it become permanent on the listing. If the business is now open 24 hours, you can include that in the notes field when suggesting changes. This needs to be a direct local phone number with its area code. No extensions, national call center numbers, or cell phone numbers should be entered. It must be the business's website. No directories, social media sites, or other third-party websites. That means no Facebook pages. If the business doesn't have a website, this should be left blank. If there's a website, and there's a direct link to the menu (for restaurants, cafes, or bars), include that in this section. If a business is a part of Eat24 or SinglePlatform, those menus will already be included in the food and drink establishment and won't need a link. However, if you want to include a menu image you took, you'll want to add that manually to the business's "View Menu Photos" section. If there's any other information you want to mention, such as a temporary closure, renovation, or anything else that didn't fit in the existing editing page, write it down in the "Notes" section at the bottom. You can also use this section to include links to Facebook posts or tweets that back up any of the changes or updates you've made to the listing. Hit "Done" when ready. In some scenarios, you may see a "Do you work at this business?" option at the top of the Edit Business page. You can toggle that on which can add more umph behind your edit requests. When you're finished with your updates or edits, hit "Submit" at the top right. A Yelp moderator will review any changes and either accept them or reject them if they're unable to verify the information. Typically, changes are updated within 24 to 48 hours after being submitted. If there are any complex issues, it can take more time. Yelp's team verifies changes by looking at your user submissions, the business' website, social media, news articles, or even directly contacting the business. Your best bet to having your changes accepted is to follow Yelp's guidelines and include supplemental information in the notes field.